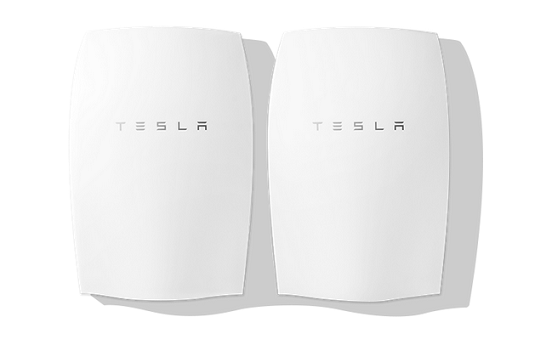 The Tesla Powerwall is a battery pack designed for your home. This lithium-ion battery can be used as an alternative for powering your home. Depending on your needs and goals, you can utilize the Tesla Powerwall to power your home at night with built-up solar energy, use as a backup, or even develop a system to go off-grid. The Tesla Powerwall is a modern power source for your home. Intended for daily cycle activities, the $3,000 Tesla Powerwall gives you options for powering your home. Each Powerwall battery is capable of storing 6.4 kWh of power. Weighing 214 pounds, this battery can be installed indoors or outdoors. But, don’t try it yourself. You will need a certified electrician to make this battery a part of your home. If you decide to reserve a Powerwall, you will be contacted by Tesla to arrange for installation. There are three options for using the Powerwall. A complete power source for your home needs. This off-grid approach allows you to fully power your home with energy from solar panels and a Powerwall or two. A supplementary power source for your home, only to be used during the evenings. This method utilizes solar power collected during the day to power your home at night. A backup power supply in case of outages. Even using the Powerwall in this way can save you some money on electricity. The Powerwall can be used if you lose power, but it will also strategically draw from the battery’s power during peak times to help lower your electricity costs. When used as a supplementary source, the Powerwall is capable of storing enough energy to power an average home each evening. The typical family uses electricity to power things like TVs, laptops, lights, refrigerator, and washing machines. If you consume more than average, you may want to consider using additional power sources or utilizing the Powerwall as a backup option only. Powerwall battery pack: Obviously, this is a necessary component for any system you decide to integrate into your home. This battery pack consolidates the power for your home’s electricity needs. Inverter: This device converts electricity from direct current into alternating current. Any system will need an inverter to properly convert electricity so that it can be used by the items plugged into your home. Solar panels: These panels are used to convert solar power into electricity. If you plan to use the Powerwall to power your home at night or to make your home self-sufficient, you will need solar panels to collect solar energy during the day. Backup panel and switch: If you plan to use the Powerwall as a backup, you will likely need a backup electrical panel and switch. This allows you to determine which appliances will be powered during an outage and the switch provides electricity to these in appropriate situations. With a ten-year warranty, the Powerwall provides a worry-free approach to your home’s energy needs. If these energy savings appeal to you as a business owner, you may want to check out Tesla’s Powerpack for business and utilities.